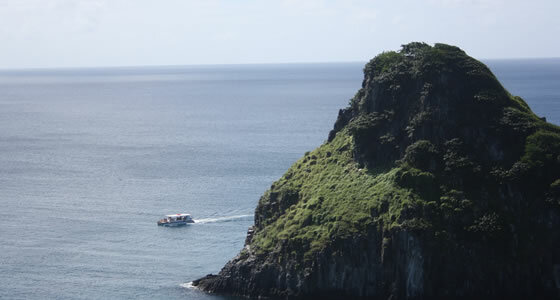 Main Attractions in the Island of Fernando de Noronha. Fernando de Noronha has something for nature lovers, beach aficionados, water sports enthusiasts, history buffs and almost anyone who enjoys the outdoors. Since the island’s population and visitors are restricted in numbers, it is a tranquil getaway amidst pure, virtually untouched volcanic islands. Home to over 15 beaches and bays, including 3 considered among Brazil’s top 10 beaches – Pig’s Bay, Sancho and Atalaia – the island offers something for every beach lover, from beautiful sunsets, natural swimming pools to secluded beaches, all amidst a breathtaking landscape. Those who enjoy hiking on nature trails have 5 main trails to choose from and can observe the flora of the island, which is only remaining sample type of the Insular Atlantic Forest and houses the sole oceanic mangrove in the Southern Atlantic area. The historically and architecturally inclined can hike to the various remains of the 10 forts built by the Portuguese. Fernando de Noronha has a huge resident population of spinner dolphins which can be observed daily. It also serves as the breeding and nesting ground for marine turtles. Watching these animals being born and make their first entrance to the sea is an enriching experience. In addition a large number of migratory birds - such as the white tern, black noddy and frigatebird, beside various reptiles can also be seen. Some of the best diving in Brazil is possible at Fernando de Noronha. A variety of marine plants, including algae, sponges and coral and a plethora of fish species and other marine animals ranging from some shark types, lobsters and octopuses make for a colorful and varied diving experience. Coupled with this is the fact that the water is very clear and warm, allowing for comfort and good visibility on diving or snorkeling expeditions. A number of shipwrecks that surround the island make for exciting dive trips as well.